Casing is a key structural element lining the wellbore and forms an essential role in maintain the overall integrity and performance of any oil well construction system. The use of casing is driven by a variety of factors apart from their primary applications in preventing contamination of water sands or groundwater due to drilling mud or fracturing fluids. The many advancements in the performance of casing strings are stirred by the growing number of drilling activities in deepwater and horizontal wells. They are instrumental in controlling extreme well pressures in over-pressured zones during a number of offshore well construction and operational activities. Growing extended-reach drilling activities have pressures on pushing the length of the laterals to counter substantial torque and drag friction force attributed to the high string weight. Recent advancements in under-reaming technology have considerably expanded the diameter of wellbore hole helpful for deeper reservoirs. This ensures that the casing reaches the required target depth to meet the requirements of deep offshore oil well activities. The use of digital reamer has been a favorable advancement in this regard. Advances in the design of expandable casing have been further complemented by significant progress made in metallurgy and cementing technology. The wells can be made to maintain a larger diameter and for extended duration during offshore oil drilling. Furthermore, advanced materials used for casing extend durability of bore wells so that they can be used for a wide range of geologic situations. Recent innovations in the oil and gas industry have been focused on improving the make-and-break performance of different sizes of connectors. This will further enhance the performance of casing strings. In the oil and gas industry, casing is referred to a string of pipes which is accumulated and implanted into the borehole of a well. Casings are a very vital part of the well and are cemented in place with accordance to a desired set of requirements. Casings serve various purposes which includes preventing contamination of fresh water zones, avoiding unstable formations from caving-in, and checking sticking of the drilling string. Casings also deliver a strong foundation for the well to use high-density drilling fluid for drilling deeper. The quality of the cement plays a critical role in the hindrance of fluid movement from deep zones into groundwater resources. Casing and cementing programs is an important tool to protect the underwater quality and provide well control. Oil and gas operators are investing heavily to secure the future production potential of the existing wells. This casing market research report is a brief review of the growth trail in terms of existing, past, and future scenarios of the global casing market. It deals with the evaluation of the aspects that are expected to influence the development of the market and the primary trends have also been specified in the research study. The research study also offers a broad lookout on the vendor landscape of the market through Porter’s five forces analysis. 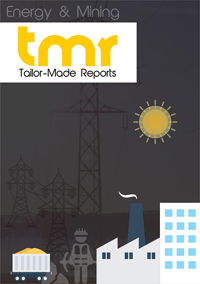 The casing market research report offers references of the research and development activities, mergers and acquisitions, and specifics on licensing and collaborations. The report probes into the strategies related to publicity, shares, and product range of the key participants in the global casing market. Casing strings are considered as indispensable elements for well completion services as they provide protection to the groundwater resources. Casings are constructed for the separation of fresh water zones and groundwater from leaks occurring in the well. Countless states and environmental agencies have listed requirements of casing and cementing. Such environmental regulations and conditions imposed by countries is the chief driver of the growth of the global casing market. Increasing exploration and production activities in unconventional fields and deep water areas are expected to further lift the requirement of casing strings. A casing once mounted in a well cannot be removed later. These strings cannot be reused again and thus every new well drilled requires new casing strings. Stern environmental regulations and swelling production from alternative fields in oil producing nations provides an attractive market for casing strings. New unconventional fields discovered in South America and Caspian Sea region can act as large markets for casing strings. The growing demand for energy in the Asia pacific region has led to exploration of numerous hydrocarbons potential areas in deep-water locations. These deep water fields will provide an attractive opportunity for the substantial growth of the casing market. The prime participants in the casing market are Sandvik AB, Tenaris, Offshore Products Ltd., Crestwood Tubulars IncELS & Company, Benteler International AG,Southland Pipe & Supply Co., and St. Louis Pipe & Supply among others.